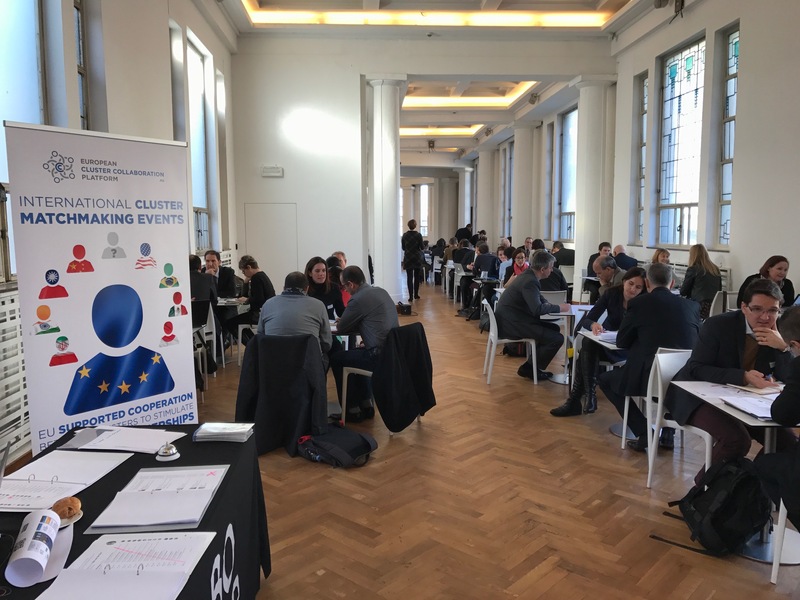 Bozar, Brussels, Belgium, 30 November 2016: With 114 clusters from 21 European countries and over 500 face-to-made meetings this was the biggest ever ECCP Cluster Matchmaking Event. 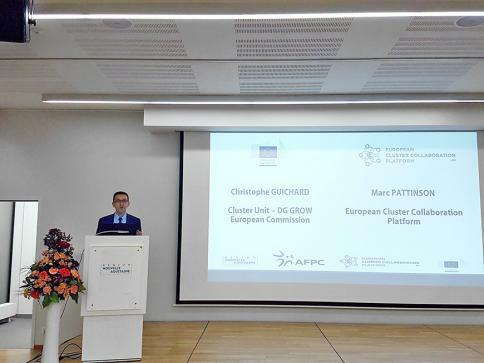 With over 500 bilateral meetings between EU clusters, the ECCP matchmaking event has clearly met the expectations of the 114 participating cluster organisations from 21 countries. These clusters represent more than 10.000 SMEs in Europe that will benefit from the contacts and the concrete cooperation initiatives developed during the matchmaking sessions. Given the fact that 2017 will be a year where new calls for proposals related to cluster collaboration will be launched, for European Cluster Strategic Partnerships for Smart Investment and Going International, this event represented a great chance to initiate partnership development. 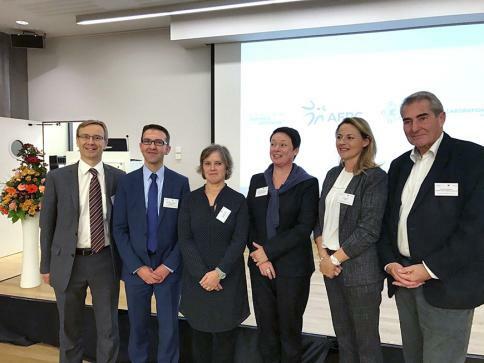 The event was co-organized by the European Cluster Collaboration Platform (ECCP) in collaboration with AWEX (the Wallonia Export Support Agency) and the local Enterprise Europe Network team. 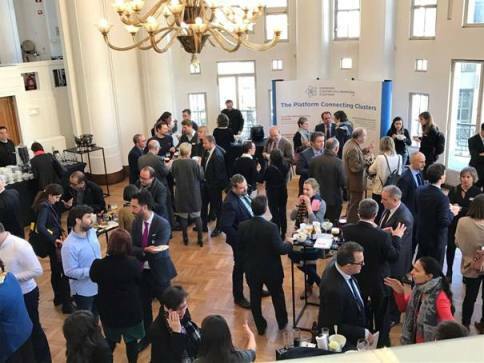 The matchmaking event ended with an informal networking cocktail hosted by the Nouvelle Aquitaine Region Brussels office with the support of the ECCP team and the French Competitiveness Cluster Association (AFPC). We were able to hold intense 30 minute meetings with 10 other cluster bodies, for developing business cooperation. for benchmarking our own activities and for picking up lessons efficiently. In one day, we met with clusters focused on advanced manufacturing techniques, new metal materials, surface engineering, composites, electronics, plastics, photonics and textiles! All cross-cutting disciplines that our companies in the aerospace industries need for the next generation of aircraft. We have built great foundations and created relationships for developing new inter-cluster projects in the future. The ECCP matchmaking event gave us the opportunity to identify (in order to attract) technologies and know-how for our cluster needs in the field of bioeconomy. During the 9 meetings I approached partners from 7 countries and concrete follow-up steps were already set-up: deeper mutual learning of our specific competences and even visits to some partners to their research infrastructure facilities in the field of bioeconomy.